It reported that the North's Committee for the Peaceful Reunification of Korea (CPRK) said it will discuss practical matters involving the participation of North Korean athletes at the Pyeongchang Games. 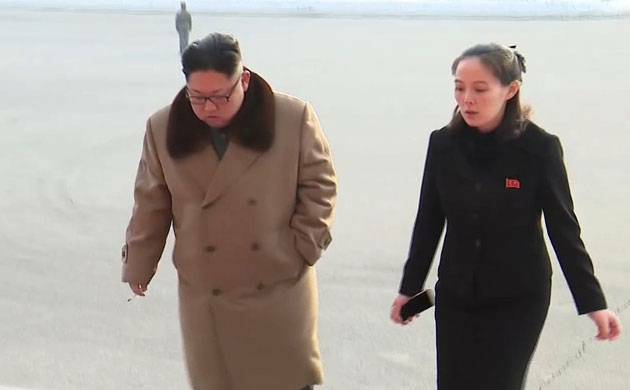 Pyongyang said on Wednesday it will restore a hotline with the South after Seoul proposed high-level talks in response to Kim Jong-Un's calls for better relations and suggestion his country might attend the Winter Olympics. Kim also welcomed Seoul's support for his overtures, a North Korean official told state television. In his New Year address, Kim warned the US that he has a "nuclear button" on his table, but extended an olive branch to the South, saying his country might take part in the Pyeongchang Winter Olympics next month. In response, South Korea's unification minister Cho Myoung-Gyon on Tuesday offered to hold high-level talks on January 9 to discuss the North's participation in the Olympics as well as other matters of mutual interest. "By upholding a decision by the leadership, we will make close contact with South Korea in a sincere and faithful manner," the Yonhap news agency quoted Ri Son-gwon, the head of North Korea's agency handling inter-Korean affairs, as saying. Kim "expressed welcome" after South Korean President Moon Jae-In said he supported Kim's offer of seeking reconciliation, Ri said on North Korean state TV monitored in Seoul.